Prominent & Leading Manufacturer and Exporter from Delhi, we offer Printer Machine such as Barcode Label Printer, Barcode Printers, Smart Label Printer, Receipt Printer and Billing Receipt Printer. 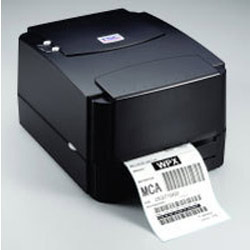 We are the prominent choice of the market and provide superior quality range of Barcode Label Printer. This printer is manufactured using qualitative raw material at our sophisticated production unit. With its quick print speed, alongside the biggest memory limit in its class, it effectively beats the opposition. Apart from this, clients can avail the entire range at industry leading prices within promised time frame. 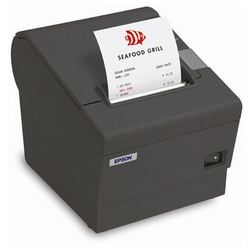 Our offered Barcode Printer is accessible in different determinations as per our customer's necessities. Our items are generally utilized in private and business places because of their more drawn out administration life. Utilized viably and hugely for various installment alternatives, these offered printers are exceptionally requested. 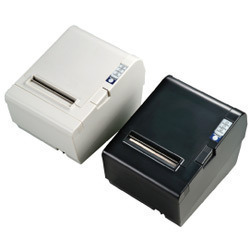 Receipt Printer is produced at merchant's ultra-current assembling division utilizing the quality-demonstrated crude material. It devours next to no standby present as it is worked in 12V. Utilizing premium quality fundamental material and propelled apparatuses and hardware, these offered items are broadly valued. We offer customization on our extent according to the detail of customers. Backed by rich industry experience, we have been able to manufacture, supply, export, trade, retail and wholesale Billing Receipt Printer. Applicable for different industrial applications, these printers are developed without making any sort of compromise with the quality of the products. Prior to dispatch, these printers are packed properly to avoid damage during dispatch. High speed printing mode 160 mm/second, maximum (at 24v, 20c (68f) , density level 2. (end of life span is defined to have reached the end of its life when it reaches the beginning of the wear out period. With years of involvement in this area, we have picked up a noteworthy position by giving Smart Label Printer. These printers give direct warm line printing, inferable from which requested over the national markets. Our whole range is checked according to industry set parameters to guarantee that it is free from any kind of creation deformities. Print speed 180mm / sec (60 lps) max.